This is a Bernie Parent JOURNEY THROUGH RISK & FEAR Signed Hardcover Book. This book is hand signed by Bernie Parent. 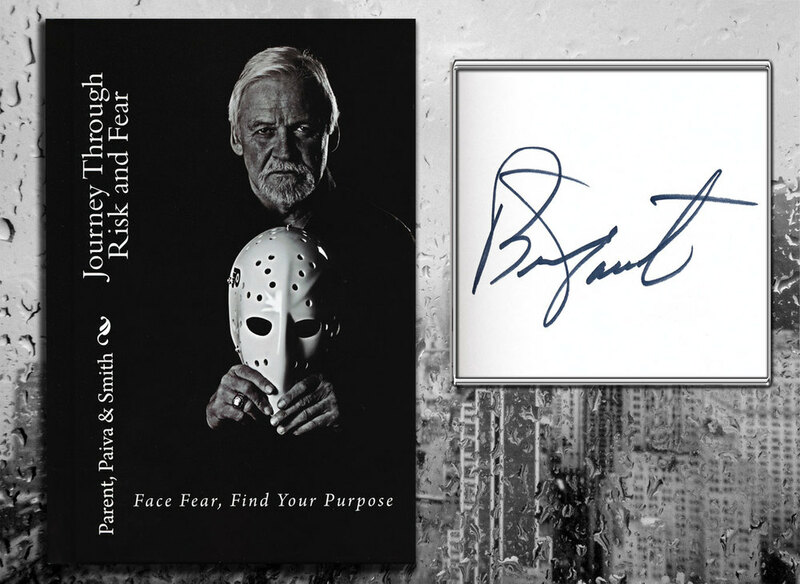 Bernie Parent brings lessons from life and his philosophy to print with his book, "Journey Through Risk and Fear". Parent becomes your personal coach while you empower yourself while allowing yourself to dream, better visualizing your goals, cultivating a productive network and finding your purpose; all while forging through fear and risk. Fans can enjoy glimpses into Parent's personal life, little known facts never shared before and intimate details such as his thoughts and fears immediately following his career ending eye injury. Readers should be plan to have many "aha" moments as they read and are illuminated by the wisdom and wit of Parent. He guides with that down to earth charisma that has made him a much-sought after speaker while he leads with the strong hand that you would expect from one of the worlds most skilled goalies. At SPORT AUTHENTIX INC. we guarantee the 100% authenticity of our products. Each signed piece of memorabilia comes with a hologram and a Certificate of Authenticity (COA) from SPORT AUTHENTIX INC.. This certificate is your assurance that the accompanying item has been personally autographed by the sports personality listed. This is a stock photo. Please note that the autograph may be in a different location than the stock photo. We take tremendous pride in offering the highest quality of genuine sports memorabilia.